Although the Stagecoach Robbery took no more than five minutes, it seemed like an eternity to the passengers. After the thieves ordered Coley to drive onto Lebanon, they disappeared in the woods. Instead of following their orders, Coley drove to the nearest farmhouse and woke the family. They dispatched a "runner" to fetch Sheriff Henry A. Brown and his deputies. Once the Sheriff Henry A. Brown arrived on the scene, he interviewed the stagecoach passenger. None of them seemed to know the identities of the thieves. The Sheriff and his deputies then began interviewing the people living in the surrounding area. Craven Shanks, Lafayette Isbell, Giles and Caroline Bradford, John Medley, and Louis and E. W. Leftwich identified Bugg Hunt and two other men as having been seen in the area in the days leading up to the robbery. Sheriff Brown organized a posse to track down and apprehend the culprits. Known members of this posse were Deputy Sheriff George Monchoates Moore, Deputy Sheriff Joseph Calloway King, United States Deputy Marshall William Campbell Morgan, Thomas Jefferson Lee (See Photo of Thomas Jefferson Lee ) - (ADDITIONAL INFO), and Robert Maddux. The hunt for the criminals was on. After safely passing through the woods, Hunt and the two Edwards boys mounted their horses and headed to Daniel Hunt's home. About 3am, they passed by Rufus Kelly's house. Awakened by the racket outside, Melissa Kelly shook her husband to awaken him. Rufus recognized Bugg Hunt's voice as the men passed by the house. Later that morning, Isaac Tubbs spotted the three men riding their ponies. They arrived at Daniel Hunt's home about mid-morning on Monday, 30 October 1882. Later that afternoon, Bugg spent some time at the home of his brother - Joseph Hunt. While there, James McCaleb rode by the house and spotted Bugg's pony tied to a shed. All three men spent Monday night at Daniel Hunt's home. The next day, Daniel went to a public speaking in Carthage. When he returned home, the Edwards boys had left for their homes in Wilson County, TN. On Saturday morning, 4 November 1882, Bugg Hunt, represented by the Honorable Thompson Luther Denney Esq. (ADDITIONAL INFO), appeared before Squire Jesse Arnold in Cookeville to respond to charges of Robbing the US Mail. Bugg plead "Not Guilty" to the charges and waived an examination of the testimony. Being unable to post bail, Judge Arnold ordered him to be returned to the county jail. Before returning to jail, Deputy Marshall Morgan took charge of the prisoner and brought him before United States Circuit Court Commissioner Thomas Harvey Butler. Again, Bugg plead "Not Guilty" and waived an examination of the testimony. Commissioner Butler set his bond at in the sum of $3000. 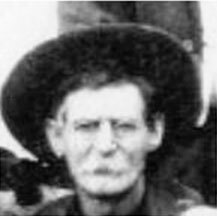 In an effort to help his son, Daniel Hunt (See Photo of Daniel Hunt )sent Bugg's older brother, George Hunt (See Photo of George Hunt ), to Wilson County, TN to find John and Tom Edwards. He was to convince them to go with him to Cookeville and to provide an alibi for Bugg. While George found John and convinced him to go with him to Cookeville, he could not find Tom. Tom was allegedly away hunting sheep. "It is therefore considered by me that he enter into bond with at least two good securities in the sum of $3000 and the securities jointly in the same sum for his personal appearance before the Honl Circuit Court of the United States at the Circuit Court room in the Custom House in Nashville on the third Monday of April 1883 and not depart without leave. In default of said bond the Marshal in ordered to carry him to the jail of Davidson Court for safe keeping until the next term of said Court. John Edwards returned to the Cookeville Jail to await transport to the Nashville Jail. On Monday, 13 November 1882, Bugg and John were transported to the Nashville Jail to await their trial in April. 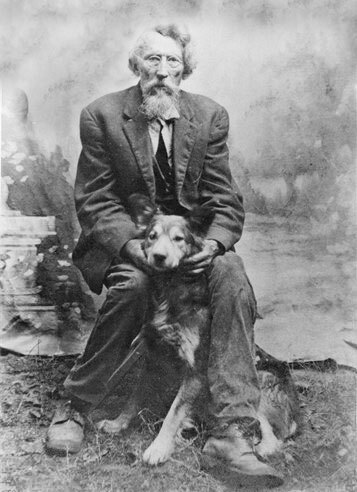 Since Bugg had escaped to Texas before the conclusion of his Appeal to the Tennessee Supreme Court in the case of State vs Bugg Huntfor Perjury in 1882, he never served any of his three year sentence. Now that he was in Federal custody, he was brought back before the TN Supreme Court for a hearing on this case on 7 March 1883. Two days later, the TN Supreme Court upheld their earlier decision and sentenced Bugg to three years in the state penitentiary. On Monday, 26 March 1883, Bugg Hunt entered the Tennessee State Prison to serve his sentence. Prison records show that he was 28 years old, 5' 7" tall, and 165 lbs. (FOOTNOTE) He was assigned to the Blacksmith shop in the prison. "In the Circuit Court of the United States for the Middle District of Tennessee - April Term 1883 - The Grand Jurors of the United States and District aforesaid being duly elected empaneled sworn and charged to enquire for the body of the District aforesaid upon their oaths aforesaid present: That in the said District before daylight on the morning of the 30" day of October 1882 Bugg Hunt, John Edwards, Thomas Edwards and Joseph Medley (ADDITIONAL INFO) did unlawfully and feloniously with force and arms rob W. C. Randolph of the mail of the United States which then and there contained letters and money and other things of great value he the said W. C. Randolph being at the time of said robbing the lawful carrier of said mail and as such carrier begin there and then lawfully entrusted with said mail. Contrary to the form of the statue in such cases made and provided and against the peace and dignity of the United States. "2nd Count And the Grand Jurors aforesaid upon their oaths aforesaid do further present: that in the said District on the night ??? between the 29" day of October 1882 and the 30" day of October 1882 the said Bugg Hunt, John Edwards, Thomas Edwards and Joseph Medley did unlawfully feloniously and with force and arms rob W. C. Randolph of the mail of the United States which then and and (sic) there contained letters money, printed matter and other things of great value by putting the life of him the said R. C. Randolph (sic) in jeopardy by the use of dangerous weapons viz: pistols, knives, guns and other dangerous weapons he the said W. C. Randolph being at the time of said robbery the lawful carrier of said mail and as such carrier unlawfully entrusted with the said mail and engaged in the lawful transportation of said mail. Contrary to the force of the statues in such cases made and provided and against the peace and dignity of the United States. The trial was scheduled to begin in the October Term of the United States Circuit Court held in the Custom's House in Nashville, TN. Bugg Hunt had been indicted and convicted of perjury in the Tennessee Courts in 1883. Hunt had been charged with various other offenses in both Tennessee and Texas. In Texas, Hunt broke out of jail where he was being confined on a charge of horse stealing. Hunt has a very bad reputation for breaking the law. Being associated with Hunt might prejudice the potential jury pool against him. Three days later, on Tuesday, 23 October 1883, the attorneys for Edwards informed the court that they were not ready to go to trial. 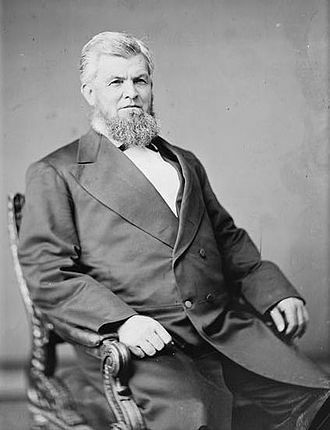 To adequately defend Edwards, they needed the testimony of John Medley, Joseph Medley, Joseph Hunt, Robert Hunt, George Hunt, and Thomas Lancaster. These witnesses have not been summoned; because when the attorneys went to the court to request subpoenas, the US Marshall would not serve the subpoenas unless all the fees were paid up front. Since Edwards had been incarcerated for the previous year, he had been unable to earn a living and could not pay the fees. In addition, Edwards' attorneys, Colonel James Jones Turner and Thomas J. Fisher were sick and unable to attend court. Edwards felt that these men understood his case better than a new attorney, he asked for a continuance until the next term so that his regular attorneys would be available. The next day, 24 October 1883, the court agreed with Edwards and severed Hunt's and Edward's cases into separate trials. To address Edwards inability to pay the fees associated with the witness subpoenas, the court ordered that United States bear the financial burden for these fees. In trial motions on 30 October 1883, Hunt's attorney argued before the court that he unable to precede, because he was unable to locate some of the witnesses material to this defense. These witnesses would prove that Hunt was elsewhere when the robbery was committed. He further stated that Hunt, too was unable to pay the witness subpoena fees. The court ruled that the United States would bear the financial burden for these fees. The witnesses in question were Joseph Hunt, Daniel Hunt, Andrew Scruggs, Alexander Wassum of Gordonsville, Smith County, TN; Joseph Medley of Buffalo Valley in Smith County, TN. Alexander Lafayette Boyd testified about the events of Stagecoach Robbery. Coleman Lafayette Randolph testified that he was the driver of the Stagecoach and to the details of the robbery. Giles Bradford and Caroline Bradford both testified that Hunt and the two Edwards boys stayed at their house Saturday night before the robbery. Giles Bradford Jr supported his parents testimony. He also testified that Hunt and the two Edwards boys went out to the field with him as he went to hunt cattle. Tom Pointer testified that he knew Bugg Hunt for ten years and did not see him in the neighborhood at that time. Craven Shanks testified that he saw Hunt and the two other men riding ponies on Friday night. Lafayette Isbell testified that he saw three men camping in a thicket about 10 miles from Cookeville on Saturday night. William Jefferson Huddleston testified that he knew Bugg Hunt and that he saw him with two other men on the Walton Road about 11pm. Hunt was riding a pony, and one of the other men was riding a roan horse. All three men were wearing wide-brimmed Texas hats. The place that he saw them was about a quarter of a mile from where the robbery took place. Louis Leftwich and E. W. Leftwich testified that they knew Bugg Hunt. At about 10pm, they saw him and two other men heading towards the place where the robbery occurred. At the time they were spotted, they were about a mile and a quarter from where the robbery took place. Et Martin testified to the events of the robbery. Rufus Kelly testified that he knows Bugg Hunt. He lived in Lancaster. During the night of the robbery, he and his wife heard two - three men pass by his house. He recognized the voice of Bugg Hunt. James McCalebs testified that he lived near Joseph Hunt, a brother of Bugg Hunt. About sunrise Monday morning, he saw a horse that he thought to be Bugg Hunt's horse tied to a shed in Joseph Hunt's yard. Alexander Manners testified that he saw Bugg Hunt going to Gordonsville towards his father's house the morning after the robbery. 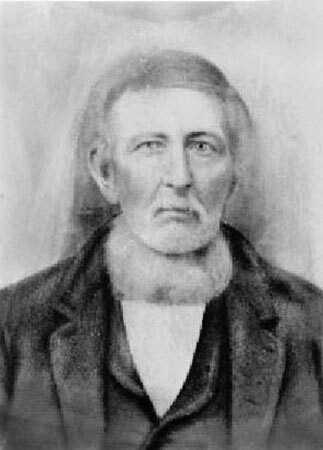 Thomas Jefferson Lee testified that he arrested Bugg Hunt between Gordonsville and Carthage near Daniel Hunt's house on the Wednesday after the robbery. He identified a self-cocking bull-dog pistol and leather scabbard taken from Hunt. William Campbell Morgan testified that he arrested John Edwards and identified the pistol taken from him. William Maxwell testified that he saw Bugg Hunt and the two Edwards boys on Saturday evening on the Cookeville-Lebanon Rd. Robert S. Gentry testified that he saw Hunt and two other men two days before the robbery heading towards the location of the robbery. Robert Maddux testified he assisting in arresting Bugg Hunt about one and a half miles from Hunt's father's house. The Prosecution rested its case. The court adjourned for the day to return at 9am the next morning. The following day, the Defense presented its case. The following witnesses were called. Daniel Hunt testified to the activities of the three men prior to the robbery. They stayed at his house for 2-3 nights in the week before the robbery. After they left, he did not see Bugg again until he was confined in the Cookeville jail. Joseph Hunt testified that he was a brother to Bugg Hunt and that Bugg stayed at his house on Monday afternoon. Isaac Tubbs testified that he lived in Alexandria and that he saw three men riding Texas ponies on the Monday of the robbery. He did not know the men. Fred Miller testified that he lived in Cookeville. His testimony was primarily about distances and localities. John Edwards testified to the events in Texas, travelling back to Tennessee, the events in the week leading up to the robbery, and being arrested at the Cookeville jail. The Defense rested its case, and the case was handed to the jury. Within thirty minutes, the jury returned a verdict of Guilty. Judgment was deferred until a later date. The trial proceeded in the same manner as Hunt's trial with the same witnesses examined and same testimony given. [The newspaper accounts did not go into the details of this trial as they did with Hunt's trial. The Daily Americanstated that "The witnesses and Testimony were substantially the same as in the case of Bugg Hunt already convicted." (FOOTNOTE) The case continued on Friday, 9 November 1883. That afternoon, the case was handed to the jury who promptly returned a verdict of "Guilty." Bugg Hunt was sentenced to five years in the Federal Penitentiary in Chester, Illinois. Since he was currently serving a three year sentence at the Tennessee State Penitentiary for Perjury, he would be returned to the Tennessee State Prison to finish serving his term. After completing that sentence, he was to be transferred to the Federal Prison in Illinois. Since his Federal sentence was to run concurrently with his TN State sentence instead of consecutively, he would only serve five years for both the Tennessee State Sentence and the Federal Sentence. John Edwards was sentenced to five years in the Federal Penitentiary in Chester, Illinois and was immediately sent there.